(Recto, print) lower center, below image, in black ink: "Close No. 193 High Street, 1868." View of a close in Glasgow. 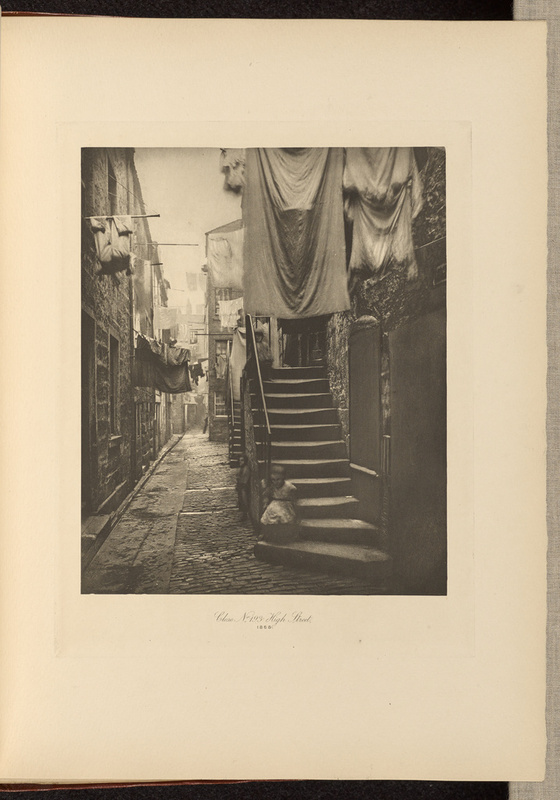 Two children can be seen on a set of stairs on the right side of the image. Washing lines with clothes drying hang above them and all along the passageway. A figure can be seen at the far end of the close.